Excellent value with 4 floors of finished living space and close to 5,000 square feet of living area. Six bedrooms, 6 full bathrooms and two half bathrooms, wood burning fireplaces, wood floors throughout. Wonderful neighborhood close to beaches and only 2 miles to Town. Lower Level Finished basement with exterior and interior access. Bedroom and full bathroom. 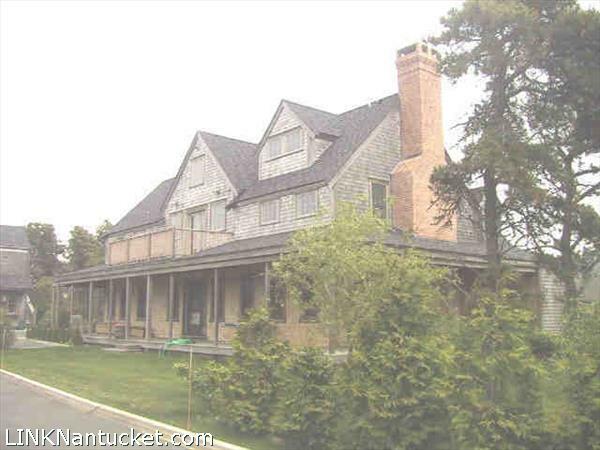 Covenant opportunity in great condition ready for a year round Nantucket resident to call home. This 2 bedroom and 1.5 .. This property features a 1000 square foot heated garage, half bath on the first floor and a spacious light filled .. Extremely well-built and well-cared for home. Wood floors throughout, tile bathrooms, and central air-conditioning. Lower Level Exterior stairs to a .. This charming property is ideally located off the Surfside bike path and is just a few miles from multiple South .. This stylishly renovated two-bedroom cottage has all new amenities including new kitchen counter tops and tiled backsplash; Rustic barn wall, .. This newly constructed and well-appointed home settles into its attractive landscape with simple elegance and classic style. The six bedroom .. Newly built Surfside chic beach house on a double lot with big ocean views just a short distance to Fisherman’s .. This newly constructed home sits on an oversized lot in a Spectacular Private Surfside location with sweeping water views of .. Build your Nantucket home and cottage on this rare one acre Land Court Approved Parcel. The property is flat with ..
Investment Property! Both the house and cottage are currently rented year round but there is a wide array of options .. Ideally located on a corner lot in the Surfside area, this four bedroom two and a half bathroom Abrem Quary ..
ESTATE SETTING IN SURFSIDE OFFERING TOTAL PRIVACY AND NEW CONSTRUCTION! The winding driveway leads to a stately home ideal for ..
Charming four bedroom, three bath home in desirable Surfside. This property is waiting for someone to finish the renovation and ..
A winding hydrangea-lined driveway leads up to LOST AT SEA, a beautiful upside-down home with 4 bedrooms and 3.5 baths. ..
‘Au Voyage’ is a classic, custom built and well maintained four-bedroom, four-and-a-half bath beach house with two-car garage and studio ..
Crème de la crème! Beautifully appointed turn-key compound just one mile from desirable Surfside beaches! Set amongst manicured grounds within .. Currently a 5BR Duplex on an oversized Commercially (CN) Zoned lot with excellent exposure on Surfside Road-directly across from the .. Enjoy woodland views, peace and serenity in this great family home abutting our Island’s State Forest, just 1.9 miles from .. Brand New Surfside Compound, close to the beach, abutting bike path with cabana and gunite pool is being offered fully ..